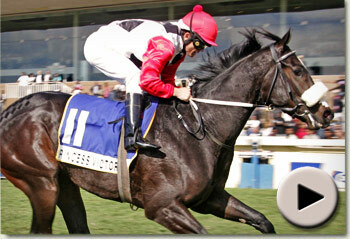 Gold CircleThe Allan Robertson was won impressively by the Glen Kotzen-trained Victory Moon filly Princess Victoria. Jockey Andrew Fortune had Princess Victoria relaxed on the rail behind the pacesetters and angled her out nearing the 400m mark. She stretched away from the field to win unextended by 3,25 lengths. The maiden Up Front ran a fine second with the favourite Hidden Beauty next best ahead of She’s A Stunner and Lady Var.